If you are visiting the US, you probably now that using a mobile phone with your home country SIM can be very expensive. International roaming rates in the US are among the highest in the world. Vodafone UK's rates are typical; £1.35/min to make a call, 35p for a text and a whopping £3/MB of data! If you plan to use your mobile while visiting the US picking up a local SIM on arrival can save you hundreds or even thousands of dollars, pounds or Euros. Here's a breakdown of the easiest and best value US prepaid SIM options for visitors. For plans for iPads and other tablets see Prepaid Tablet Data Plans Compared. As it's difficult for travelers to order online and have a SIM shipped internationally, I've limited this post primarily to SIM-only offers that are widely available at US retail outlets. In order to use your phone in the US with a local SIM it must be unlocked and support the US frequency bands, which are different from those used in most of the world. The two national US GSM operators are T-Mobile and AT&T. T-Mobile has slightly lower prices, but AT&T covers more of the country than T-Mobile. If you are sticking to major cites, T-Mobile should be fine but for extensive land travel I recommend AT&T. T-Mobile (coverage map, current offers) uses the 1900 mHz band (LTE band 2) for 2G , 3G and 4G LTE, the 1700 AWS band (LTE band 4) for 3G and 4G LTE and the 700 Mhz LTE band 12 for LTE only. To get started with T-Mobile you need a T-Mobile Prepaid SIM Card Activation Kit which includes a SIM and a single use activation code. The code is required to activate a prepaid account. Do not buy an un-activated T-Mobile USA SIM on Ebay, etc. unless it includes a prepaid plan activation code. Without an activation code the SIM can not be activated on prepaid. The easiest way to get a T-Mobile SIM is at one of the thousands of company owned stores (store locator) throughout the country. At T-Mobile shops a SIM costs $25 but is sometimes free if you activate a $40/month or higher monthly plan. T-Mobile SIM kits are also available at independent mobile phone shops at prices ranging from free with airtime purchase to as much as $25. Unlike in much of the world, SIMs are not generally available at US drugstores or newsstands. T-Mobile Tourist Plan: T-mobile stores will offer a special tourist plan targeted at international visitors. The tourist plan costs $30 which includes a free SIM. It provides three weeks of service with 1000 domestic voice minutes, unlimited domestic and international text messaging and unlimited data. The first 2 GB of data is full speed, after 2 GB speed is throttled to 128 Kbps or less. 200 MB of domestic data roaming is also included. the tourist plan is good for three weeks and is not renewable. $5 for 500MB good for one day. $10 for 1GB good for 7 days. $75 T-Mobile One Prepaid unlimited unlimited Unlimited, unthrottled on phone, unlimited hotspot at "3G" speeds. 1 High speed data is not throttled with LTE speeds of up to 60 Mbps possible. After the high speed allotment is used unlimited data throttled to 128 Kbps is available. 2 Promotional plan, available online only for a limited time. 5 Tethering and hotspot allowed with high speed data up to plan limits. The monthly plans automatically renew every 30 days providing you have sufficient funds in your T-Mobile account. You can switch between monthly and pay as you go plans (except for the $30 unlimited data plan) by calling 1-877-778-2106 on any phone or 611 on your T-Mobile phone or by using T-Mobile's mobile (ma.web2go.com) or desktop (my.t-mobile.com) web sites. Plan changes from or between plans go into effect at the end of the plan period by default but customer support can make an immediate plan change on request. Hotspot and tethering: allowed on all plans. Hotspot throttled to "3G" speeds (512 kbps) on the $75 plan. On other plans hotspot is at full speeds up to the plan's high speed data limit. Domestic Roaming: T-Mobile allows voice and text roaming at no extra cost on a number of regional operator's networks (areas labeled as "partner" on T-Mobile's coverage map). There's limited data roaming on monthly plans. Roaming on the $45 plan is limited to 50MB/month, $55 plan users get 100MB/month of data roaming and $30 Tourist and $75 plan users get 200 MB/month. On other plans data roaming is not available. The $75/month T-Mobile One plan includes unlimited calls to and roaming in Canada and Mexico. Unlimited Mexican and Canadian calling and roaming can be added to Simply Prepaid plans for $5/month. T-Mobile offers a $15/month "Stateside" international calling add-on which is available with the $45, $55 and $75 monthly plans only It includes unlimited calls to mobile phones in 30+ countries and landlines in 70+ countries. International calls without an international add-on are expensive on T-Mobile: Canada 49¢, Mexico 69¢, Western Europe, Japan, India, China, Philippines $1.99. Most other countries (full list) are even more expensive. On pay per minute plans these rates are in addition to the basic per minute rate of 10 cents. Unlimited international texts are included at no-extra charge on $30 plan and higher priced plans and cost the standard 10¢ each on all other plans. International MMS are 25¢ each on all plans. International roaming: The $75 T-Mobile One Prepaid plan includes unlimited voice, text and data roaming in to Canada and Mexico. Unlimited Mexican and Canadian calling and roaming can be added to Simply Prepaid plans for $5/month. High speed data is available while roaming up to normal plan limits with unlimited throttled roaming thereafter. T-Mobile SIMs must be activated and used in the US before they will work in Canada or Mexico. T-Mobile airtime refill PINs in $10, $30, $50 and $100 denominations are readily available and can be purchased at T-Mobile and independent phone shops, "big box" retailers like Target and Walmart, Office Depot stores, 7-11 convenience stores, chain drugstores such as Walgreens, CVS and Publix and at electronic retailers including Best Buy and RadioShack. AT&T GoPhone (coverage map, current offers) uses the 850 and 1900 MHz bands for GPRS/Edge. 3G UTMS, 4G HSPA+ . Most areas have both 850 and 1900 coverage but some are 1900 only (map). LTE data is available to prepaid users. AT&T mainly uses band 17 (700 Mhz) for LTE but also uses bands 5 (850 Mhz). 2 (1900 Mhz) and 4 (1700 Mhz) for supplemental LTE service in some urban areas. AT&T uses the brand AT&T GoPhone to refer to its prepaid services. Data is automatically enabled on the $2/day plans for non-smartphones only at the exorbitant rate of $0.002/KB ($2/MB). For phones AT&T recognizes as smartphones, including all iPhones and many popular Android phones, data is disabled on the daily plan and only available on that plan by purchasing a $1 daily data pass which provides 100 MB good for 24 hours. Monthly Plans: AT&T has prepaid monthly plans ranging in price from $35 to $60. Details of all the AT&T prepaid plans are listed in the table below. 250 MB for $5 1¢ per 5 KB non-smartphones only. Monthly Plan $35 unlimited unlimited domestic and international unlimited, throttled to 128 Kbps after 1 GB. Additional high speed data 1 GB for $10. AT&T stores charge $10 for a SIM although the charge is often waived if combined with an airtime purchase. There is a 0.20 to $1.50 monthly 911 fee charged in some states in addition to applicable state and local sales taxes. Hotspot and tethering: allowed on $30, $45 and $85 plans only. Hotspot throttled to 128 kbps after 6 GB on $85 plan. $45, $65 and $85 plans include unlimited calls to Canada and Mexico including to mobile phones. The $5/month International Long Distance package can be added to any plan including the 25¢/minute and $2/day plans. It provides 250 minutes of calling to cell phones and landlines in Canada, India, China and several other countries and to landlines in over 50 countries (list of countries). The $15/month East Asia/India package can be added to the 45 and $60 monthly plans only. It includes unlimited calls to landlines and mobile phones in China, India, Hong Kong, Singapore & South Korea and reduced rates to 30 other countries (list) in East Asia. The $15/month Latin America/Caribbean package can be added to the 45 and $60 monthly plans only. It provides lower per minute rates to 45 Caribbean and Latin American countries (list). Without an international add-on. AT&T's voice rates are better than T-Mobile's but are still high. Calls to the UK and most Western European countries cost $0.49 per minute, for India, Australia and Japan the surcharge is $1.09/min. Unlimited international texts to 100 countries (list) are included with the monthly and $2 daily plans. On pay as you go international texts are 25¢ each to send and 20¢ to receive. International Roaming: GoPhone roams in Mexico and Canada. The $45, $65 and $85 Monthly Plans include unlimited voice and messaging and data up to plan limits while roaming in Mexico and Canada. On other plans calls are 25¢ per minute in Mexico and 39¢ in Canada. In both countries texts are 25¢ to send and 20¢ to receive, MMS are $1.30 to send and 25¢ to receive and data is $1.95/KB. As with T-Mobile the easiest way to get a SIM and pay for service is at an AT&T corporate store (store locator). AT&T SIMs are also available at many Walmart stores for $10 and from independent mobile phone shops at widely varying prices. AT&T's prepaid coverage area (map) is larger than T-Mobile's but unlike T-Mobile, AT&T doesn't allow off-network roaming on prepaid plans. Refill PIN cards are widely available at AT&T and independent phone shops, "big box" retailers like Target and Walmart, Office Depot stores, 7-11 convenience stores, chain drugstores such as Walgreens, CVS and Publix and at electronic retailers including BestBuy and RadioShack. Refill denominations are $15, $25, $50, $75 and $100. MVNO Alternatives. AT&T and T-Mobile are the only national US GSM operators, but there are dozens of Mobile Virtual Network Operators (MVNOs) in the US that resell service from either AT&T or T-Mobile. MVNO SIMs are sold online and by independent mobile dealers. MVNOs typically have lower rates than T-Mobile or AT&T but SIMS can be hard to find. Here's a sampling of some of the better MVNO deals. MetroPCS (not a true MVNO, owned by T-Mobile but not sold in T-Mobile stores). Off-network voice and text (no data) roaming is available. Hotspot allowed. Monthly plans with unlimited talk and SMS: $30/month 2 GB 4G; $40/month 5 GB 4G; $50/month unlimited 4G, no hotspot; $60/month unlimited 4G on phone, 10 GB for hotspot. $30 and $40 plans include unlimited 2G (128 Kbps) data after the high speed data allotment is used. Unlimited roaming in Canada or Mexico available for $5/month on $40 and higher plans. Effective Nov. 12, 2017 high speed roaming data capped at 5 GB on all plans. Dealer locator. Lycamobile Monthly plans with unlimited talk and SMS (int'l included). $19/month 500 MB 4G; $23 1 GB HS, $29 4 GB, $35/month 6 GB 4G; $45/month 7 GB 4G, $50 "unlimited" 4G. All plans include unlimited international calling to many countries. $23 and higher plans also include include unlimited 2g (128 Kbps) data after the high speed data allowance is used. No roaming. Hotspot not allowed. Dealer locator. ZIP SIM (formerly Ready SIM), is a T-Mobile MVNO that ships internationally and sells SIMs preloaded with a 7 day, 14 day, 21 day or 30 day plan. All plans include unlimited talk and text, including international texting. Plans with or without data are available. A 7 day ZIPSIM with unlimited talk and text and 500 MB of data costs $25. Worldwide shipping is about $10 extra. ZIPSIM is also available from Amazon,com. For more about ZIP SIM see our post, Ready SIM Re-Brands as ZIP SIM Targeting Privacy Seekers and International Visitors. See T-Mobile and T-Mobile MVNO Prepaid Plans Compared for more T-Mobile based choices. H2O Pay As You Go: 5¢/min, 5¢/SMS (10¢ int'l), 10¢/MB, $10/90 days minimum top up. Monthly plans with unlimited talk and SMS (int'l included). $30 2 GB 4G; $35 3 GB, $40 6 GB 4G, $50 8 GB 4G. $60 10 GB 4G. Low international calling rates. Hotspot not allowed. No dealer locator but SIMs are available at Walmart and Target stores. Cricket (owned by AT&T but not sold in AT&T stores) Monthly Plans: both include unlimited minutes, unlimited domestic texts, and unlimited 2G data: $30 1 GB, $40 4 GB 4G, $50 8 GB 4G, $60 unlimited 4G. Hotspot use is $10/month extra on the $50 plan, mot allowed on other plans and only works with some Cricket branded Android phones. $50 and higher plans include unlimited roaming in Mexico and Canada. Dealer locator. Dealers charge $10 for a SIM and a $35 activation fee. SIMs also available at Walmart, Target and BestBuy stores with free activation. TracFone Pay As You Go with rates ranging from 4¢ to 11¢ per minute, text or MB of data, SIMs available at BestBuy, Walmart and Target stores. Hotspot not allowed. See AT&T and AT&T MVNO Prepaid Plans Compared for more AT&T based choices. Global SIMs: There are many brands of global or travel SIMs which are work in multiple countries. Global SIMs are convenient but rates tend to be high. The best global SIM for US visitors seems to be Truphone. Truphone is pay as you go and US rates are 9¢ per outgoing minute or text and 9¢ per MB of data. Incoming calls and texts are free. Truphone uses the AT&T as well as some regional networks in the US. Truphone SIMs are sold in the UK, US, Australia, Hong Kong, Netherlands, Germany, Poland and Spain. In the US they cost $29.99 and include a $15 airtime credit. There's no requirement to top up regularly, pay as you go credit never expires as long as you make a call, send a text or use some data at least every 90 days. Recommendations T-Mobile and T-Mobile MVNOs tend to be less expensive than AT&T, especially if you need lots of unthrottled data per month. T-Mobile's coverage is inferior to AT&T's but T-Mobile works well in all major cities and provides at least 2G coverage along most highways. Buying a SIM and service at an AT&T and T-Mobile store near your hotel is the quickest and most convenient way to get mobile service in the US. However it's not the least expensive. It's possible to save money with an MVNO if you are able to buy SIMs online or are willing to spend some time to finding a dealer. Truphone is cost effective for light use and it's convenient, especially if you can buy and activate a SIM in your home country before leaving for the US. 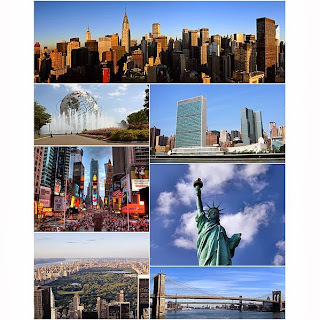 New York City Montage image by Bleff (compilation) some rights reseverd [CC-BY-SA-3.0] via Wikimedia Commons. Could you just help me out with a few doubts? I'm going to the US in a few weeks and I want to use my Motorola Milestone (the non-US version of Droid) with a pay on the go GSM SIM card, mainly for using data with services like social networks, mail and location. Would the best option be t-mobile day pass? One more thing, I'm going to New York and then Las Vegas. Is it ok to use the same SIM Card? As I've seen t-mobile covers both areas, but are there any roaming carges from using a State's number in another? (here in Brazil the carriers charges roaming for voice calls from another states). AT&T recently reduced their prepaid data bundle prices. It's now 200 MB for $15 and 500MB for $25. I just updated the post with the new rates. I still think T-Mobile is a better deal for most people. But if you use data every day for at least 10 days and don't use very much data AT&T could be cheaper. There are no extra charges for roaming or domestic long distance on T-Mobile or AT&T so you only need one SIM. It will work in both New York and Vegas with no price difference. I had At&T last time i was in US and Tampa, and it works good, but i paid $75 for that preepaid card including 200Mb data. I will be in US in 17 days next time i go to US and what i can see the AT&T Unlimited Daily Talk and Text with $15 data must be one of the best solutions for me. Hi, Yeswap! I'll be visiting the US for a week this September and I plan to use my Motorola Milestone 2 (Quad-Band GSM/EDGE and 850/1900/2100 3G) Android phone there. My primary uses will be web surfing, GPS navigation and Android apps like TripAdvisor and, of course, calling Brazil, my home country. Can I use the T-Mobile "monthly" plan for only one week? Because the $50 unlimited plan plus the $10 unlimited int'l calls seems to be perfect for me. I know I'm not getting any 3G speeds. Thanks! Yes, using the monthly plan for a week will work. Hi, is it possible to use the monthly plan without purchasing a smartphone, cuz i wanna use the one i own. or do i have to buy a special one for this plan. website says : Phone Puchase required. Does that mean i have to buy a new one? blubblub, All the plans on this page work with any unlocked GSM phone. Which website says "Phone Puchase required"? This is the Site : http://www.phonetvinternet.com/phone-service/mobile/prepaid-cellular.php Look under T-Mobile. That's not an official AT&T or T-Mobile site, I wouldn't trust what it says. Any T-Mobile or AT&T shop will sell you a prepaid SIM. For me ATT are really poor in business mind. For ATT: " There is a worls outside USA "
I don't think AT&T is a good option for int'l visitors who want to call their home countries, since their int'l calling rates are very high (0.36 cents per minute to Brazil, in addition to the airtime). The good thing about AT&T is the $25 plan for 500 MB of data, which makes AT&T awesome for people who wants to stay connected and don't call home much. If you really want to stick with AT&T and you want to call your home country, you have to consider buying an int'l calling card to escape their expensive int'l rates. AT&T uses the 850/1900 band for UMTS, used in other countries and there are many foreign smartphones compatible with these bands. On the other hand, T-Mobile has an interesting $10 addon for unlimited int'l calls to many countries (check which in their website). The catch is their AWS 3G band, incompatible to the rest of the world. Only $60 and you're unlimited to call home and use your smartphone, but unfortunately only at EDGE speeds. If AT&T had a plan like this, it'd be the perfect choice for int'l 3G heavy users. Another interesting option is H2O Wireless, which allows free int'l calls (only the int'l dialing rate is free, airtime charges still apply, of course) on their minute plans. Unfortunately, data is only available to the $50 unlimited monthly plan (limited to 250 MB). In this plan, you have $20 worth of int'l calls and the rates are not high ($0.03 to landlines in Brazil) plus unlimited int'l text. H2O wireless is a AT&T MVNO, so it will get 3G speeds if you have a 850/1900 capable UMTS phone. Im heading to miami for 10 days soon. Looking for a strong or unlimited talk text and surf plan. Not really expensive, hopefully at or less than 40$... anyone? Assuming you have an unlocked GSM phone, either T-Mobile or AT&T's $50 unlimited monthly plan should work. Any T-Mobile or AT&T store should be able to set you up. I don't now of anything that's cheaper and doesn't require having a SIM mailed to you which isn't very practical for a traveler. hi, all the info presented here are just great but i ask your opinion on which would be the best way of using skype or other VOIP app. I'm interested in a prepaid plan for 2 weeks. I'll use Voip frequently so i need something that should satisfy this need. I haven't found out the pest preepaid option. So my question is, what do you recomend?? Provided they are unlocked, any of the phones you mention will work on T-Mobile although none with get 3G data speeds. Bring which ever one you like best. So if i want 3G data what is the best solution?? AT&T and pay as you go?? is this still up to date? I have an unlocked Xperia X10a. If I go with T-Mobile, how bad would data transfer rates be? I understand it would not be 3G based on the information posted above, but I don't know what type of difference that provides versus Edge. Can someone translate this into a max MB/s? Mostly, I want to know that Google Navigation will work and that I would be able to check emails, calendar, etc. T-Mobile EDGE averages about 150 kbits/sec down and 70 up. Real world 3G averages about 1000 kbits/sec down and 250 up. So 3G is 4-6 times faster. On EDGE, email and calendar synchronization will work just about as well as with 3G. Text emails should still open almost instantly. Opening HTML emails and large attachments will be noticeably slower. Navigation should work, although pulling up a map can take 30 secs to a minute. I need to trade my Xperia X10a for an X10i. Either that, or deal with the slow T-Mobile EDGE. I could just go with AT&T, but they seem pricey in two way. (1) No gold plan (2) The $5 data is ok in that it lasts 30 days, but working against it in a big way is that 10 MB might get eaten quickly by Google Navigation. What to do, what to do. I went on a road trip this past weekend driving from Vancouver, Canada to Portland. I stopped by and AT&T store after crossing the boarder spent $25. The sales told me SIM card was free if I put $25 in the account. So that's what I did. I used it for my Xepria X8. I chose the $0.10/min plan. And then I went online to sign in to my account and use $15 to buy 100MB data for 30 days. It was perfect for the weekend trip. I used about 15MB of data for way finding when walking in downtown Portland, and I had voice services for emergency use on the road. The only thing to be cautious about is that incoming texts are $0.20 each. Thanks for having this post! I´ve bouth a AT&T prepaid chip but it did not work on my Brazilian originally unlocked iPhone 3GS (from Vivo); it did not even work for voice (it only displayed NO SERVICE). I used a Motorola Android instead and added the APN wap.cingular and after that it worked (by the way, the service of AT&T is terrible; they don´t know about that and just say they cannot guarantee anything). An excellent site you have here, Yeswap: thank you for taking the time and trouble. Our family is planning to visit Florida (Miami and Orlando) in Jan 2012 and my wife and I both have (Australian)Blackberry 9700s. From reading all of the above and browsing your provided links, it would appear that a SimpleMobile Blackerry BIS plan for $50 each (plus SIM for $12.99 ea) would give us unlimited EDGE BIS for the month: we plan to use the BBs for navigation, email and of course Disney wait times ("undercover tourist"Disney and Univ Studio wait times are BIS apps). Am I reading it right? Yes SimpleMobile would work as you have described. A $50 T-Mobile Monthly 4G plan with the $10 Blackberry Add-On would give you the same thing. With T-Mobile the SIM is free and T-Mobile stores are a lot easier to find than SimpleMobile dealers. Ok, thanks for the prompt reply (I had missed the BIS bolt-on in "Additional Services" down the bottom of the t-mobile plans page). That'll be perfect for us. First of all thanks for a very informative post. I guess the T-Mobile 3g wont work on this but they seem like such a good option. However, that said, every month here, I manage with less than 200 MB of data usage on 3G and 200 minutes of talk time and under 100 texts! I probably will need a little more talk time in the US due to incoming call costs- about 400-500 minutes. I would need internet mostly for checking mails, restaurants, shopping, listings, maps etc. Do I really need 3g for that (I am pretty used to the speeds though)? 50-100 texts seem acceptable to me. What would be the best/cost-effective option? AT&T? You are correct you will only get 3G with AT&T. 2G will work for everything,it will just be slower. Email will be fine, browsing too if you use a proxy browser like Opera Mini. If you use Symbian, download the maps for the states you will visit before you leave home and it will be super fast, even with no connection. Google maps on Android or Java is very usable on 2G. Thanks Yeswap, that was superbly helpful. I wonder why T-mobile still wants those two bands in the phones for 3G to work...I probably will take the T-MObile plan (debating between 30 & 50) as I need at least 150kbps speed for data! I am generally very frugal so I think I will be able to manage..do you think, we can use Google Voice service on my Android to make calls on this 2G connection? That would solve a bit of the number of calls issue! Thanks again for this extremely useful post to travelers like me. It's not that T-Mobile wanted to use 1700/2100 for 3G. They had no choice as all the available 850/1900 spectrum was allocated long ago to AT&T, Verizon and others. Google Voice is not by itself a VOIP app. Calls made with Google Voice use minutes. To call using only data you need a SIP/VOIP app, some of which integrate with Google Voice. People who've tried SIP over 2G (actually 2.5 Edge, which is what T-Mobile 2G almost everywhere) and say it works with some lag and/or voice quality issues. I haven't tried it myself but it sounds like it might be OK for personal use with patient friends and family but not for business. Strange, I use Google Voice (via Gchat on the pc) to call the US @ 0.01/min so didn't think that it would take up my call minutes on the phone! Hmmm...I guess I will just stick to the networks rather than deal with VOIP on 2G/2.5 Edge. Do you know if the nights & weekend free minutes are applicable to these T-Mobile plans? ($30/50)? I am just trying to keep my costs low while I travel there. There are no night or weekend minutes on the $30 T-Mobile plan. The $50 plan has unlimited anytime minutes. Google's product names are a confusing mess. "Google Chat" on the PC uses "Google Talk" for voice not "Google Voice". "Talk" is VOIP, however the Talk client on phones is IM only. Google Voice gives you free visual voicemail, voicemail transcription and can route calls up to 6 different phone numbers including your Google Talk number on a PC. That does sound like a mess! !- aren't they simplifying & streamlining all this anytime soon?! I guess the $50 T-Mobile plan is for me then! Thanks, this was super helpful..& educational! I am considering buying an unlocked Samsung Nexus S (I live in the USA, and this is a USA phone). Do you think that I can get the Tmobile $30 unlimited web? I have a Tmobile sim card that I can activate. My concern is that Tmobile won't let me activate since it's an unlocked phone. What do you think? T-Mobile doesn't care what phone you use. Unlocked phones are fine but the only Nexus S that supports T-Mobile's oddball 3G/4G band (AWS-1 aka UMTS band IV, 1700 Uplink/2100 downlink) is the T-Mobile branded Nexus S 4G. Anything else will only get 2.5 G Edge data speeds. You can add at least Nokia N900 and Nokia N9 to the list of phones that support T-mobile 3G. Thanks for reminding me about the N9 and N900. I've added them and a couple of other phones that support 1700 MHz. I don't know if Web Guard would block SIP or not. I've heard of people using SIP on T-Mobile prepaid so it may be possible. Never tried it myself though. I am moving to NYC in a few weeks but wanted to get a number before i arrive - can i order one online anywhere and post it to a friends house? I have an unlocked blackberry phone. In the UK you can get a pay as you go simcard, top up whatever you want per month but add a 'bolt-on' for £10 each month which gets you full blackberry functioning of browsing, emails into your phone, bbm etc up to 500mb each month. Is there something which is equivelant with no contract to sign? You can have a SIM sent to your friend's house but it won't get a phone number assigned until it's activated. Hi, i'm visiting the us for the CES 2012 and i'm from germany. I will be in las vegas for one week and i need a data only plan with many included mb. i thought the h2o broadband plan is the best for me, but some pages say that in the 50$ plan are included 5gb, some sites say there's only 1gb included. to you have another good suggestion for me? It sounds like this is a business trip. If you need truly reliable data for demoing devices or apps or you are a journalist, etc., I recommend that you go with one of the major US operators, AT&T, Verizon or T-Mobile that offer prepaid broadband. They are more expensive but they have superior service and support and have local retail stores where you can get a SIM or modem and get help with issues. See my post US Prepaid Mobile Broadband Plans Compared for details and rates. ok, so my problem is that i already have GSM-Hardware (SGS2 and Huawei E8530 mobile hotspot) so my only choice would bei the AT&T network and their mobile broadband plan with 1gb for 50$, right? i want to buy the sim-card before my trip to the USA, so i can buy one on ebay (http://www.ebay.com/itm/ATT-AT-T-No-Commitment-No-Contract-cancel-anytime-New-gsm-sim-card-/280793762746?pt=SIM_Cards&hash=item41609ccbba#ht_527wt_1372), buy a local refill card and then select my plan? theres's no need of an american debit card? H2O is on the AT&T network but billing and support are provided by H2O. Yes, your devices would need to be on the AT&T network to get 3G. The SIM you linked to would work, as would any unactivated AT&T SIM. Thank you! but i need a prepaid sim, don't i? and if i only use my galaxy s2 with ethering the type of simcard "gophone" or "generic" doesn't matter? and if i want to use my mobile hotspot i can go to an at&t store and exchange the simcard? Thank you, you helped me really much! AT&T prepaid accounts can be activated with any unused AT&T SIM including the generic or postpaid ones. Locked SIMs will work in the device they are activated in with no issues. AT&T stores will exchange a locked SIM for an unlocked one. You aren't supposed to use "phone" plans with "mobile broadband" devices and vice/versa so you they might give you some grief with that. Personally, I'd go to an AT&T store (the're pretty much everywhere, use the store locator linked to in post) with a device appropriate to the type of service you want to use. Let them give you a SIM and activate it. The SIMs the stores sell aren't locked so you can move it to the other device as needed. thanks a lot! very good advices! so there is way to get the 4G? does At&t SUPPORT THE I-9100? The international Galaxy S II upports AT&T's 3G bands but not T-Mobile's. So yes you would get 3G in AT&T 3G areas but not on T-Mobile USA. I'm heading to NYC tomorrow for a week and won't have time to run around to shop. The thing is I am going back to the US in June (California this time) for a wedding and will need the same services again. The $50 T-Mobile plan has that reduced $10 intl plan but the $50 itself to get that plan seems like a waste because I won't be using even half that amount of usage for US....mainly calling back to Canada as well as texting and BBMing is what I need. I'm super last minute but any advice would be great!!! Unfortunately, with a BlackBerry you are limited to T-Mobile and SIMple Mobile, a T-Mobile MVNO, as they are the only US operators that offer BIS on prepaid accounts. SIMple is $10/month less but the SIM is $12.99 and SIMple dealers can be hard to find. You pratical real option is to visit a T-mobile store (store locator) and get a SIM and active with the $50 plan + $10 for the BIS add-on + $10 for the international calling package. if i were to not use bbm and maximize my international text and calling what would you suggest? Either the T-Mobile $30/month plan with the $10 International add on or AT&T pay as you with a messaging add on ($4.99 to $19.99) and $10 International add-on. Can this be verified? Thank you so much and this website is absolutely fabulous for international travellers like us! An unlocked iPhone (any model) will work with AT&T's $50 plan but you won't get data unless you add a $25 500 MB Feature Pack. Unlocked iPhones also work with any of T-Mobile and SIMple Mobile's unlimited plan. Data works but will be Edge/GPRS only, no 3G. You mean the T-Mobile $3/plan? Yes that would work with the iPhone or the N86. However neither would get 3G. Hi, really enjoyed reading all of this. Here's my situation. I have an unlocked iphone 4s from canada and i'm going to nyc for three months. I need to be able to make calls within the US and use up to 1-2GB of data a month on my iphone. Which AT&T option would you recommend for me. Thanks for your help in advance. That depends on how many voice minutes you need. Use either pay as you go 10¢ minute, Daily Unlimited or Monthly Unlimited and then add $25 500 MB data feature packs as needed. what is a good pay as you go internet stick for my laptop that will give 2 GB a month? I only need to use for 2 hours a day. For 2 GB/month the least expensive are Virgin Mobile (2.5 GB) and T-Mobile (3 GB) at $50/month. T-Mobile has much faster data. Neither has good coverage in rural areas. If you need coverage in the boonies I recomend Verizon's 5 GB for $80/month plan. See US Prepaid Mobile Broadband Plans Compared for a comprehensive listing of all US prepaid broadband plans. The Galaxy Nexus supports T-Mobile's AWS 3G as well as AT&T's 850 and 1900 Mhz bands. So you could use T-Mobile's Unlimited Daily or Monthly plans or AT&T's PAYGO with $25 for 500/MB Data Feature Packs. I work on a cruise ship and 3 times a week I am back to US and for the internet I am using my laptop with the “Virgin Mobile” usb with the prepaid $40 monthly , now I just bought a nokia E7 which has a nice screen for the web and I would like also use it for the internet ……………so at this point I am thinking to have a prepaid sim which give me unlimited internet + US phone calls for my Nokia E7 and share the internet connection with my laptop when need . What do you suggest ? maybe AT&T ? thank you for your prompt help...also i would ask you if AT&T has a prepaid as the Virgin USB and if yes which one is better . Just a quick note and thank-you. We are homeward-bound after three weeks in Florida. I took your advice (back in Nov) and purchased the $50+10 Blackberry unlimited T-mobile plan, my wife the monthly 1G iPad data plan and one of the kids' phones was kitted out with the $10 plan. The BB was up and running within 5 minutes receiving emails with no extra configuration at all; T-mobile (South Miami) staff cut, installed and configured the microsim in my wife's iPad in a matter of minutes. My BB Bold kept saying "3G" although as an AU BB it should have only said "EDGE". It was certainly much faster than my Australian Optus 3G sim (for example Google Maps in AU can't keep up on my BB at 110km/h on a freeway, whereas there was no such difficulty in FL at higher speeds on I-4). My wife's iPad performed faultlessly everywhere from Key West to Orlando and all points between and we all used it for email, web browsing, GPS navigation etc. After the BB's first 100MB at "4G" expired (t-mobile sent me a text to advise), my phone continued to say 3G and I could discern no slowdown in data received. As for the t-mobile $10 plan: well, two short phone calls from Palm Beach to Orlando blew out the phone allowance but texting continued to work brilliantly (text was actually more useful than phone in the theme parks). Thank you very much for your advice - you significantly enhanced our communications and hence our enjoyment of our trip. Glad to hear T-Mobile worked out so well for you. Interesting that you apparently got 3G on the Bold. T-Mobile is reportedly starting to test deploying HSPA+ 3G-4G on 1900 Mhz in some areas. See: T-Mobile already using 1900 band in 84Mbps HSPA+ deployment?. I want to go with t-mobile $30/month plan (unlimited text and web + 100 min talk). I may need to have unlimited international calls for some particular month (for example, say in march, then in june etc). I have seen that t-mobile has a $10/month unlimited international call facility. Can I use this additional plan occasionally? If I can, will I be able to make unlimited international calls for that particular month? You can turn on the $10/month International calling feature in months when you need it and turn it off in months when you don't. It provides unlimited free calls to 50 countries (List of countries covered). The add on is only available with prepaid monthly plans priced at $50/month or more. Hello! Nice blog you have, thanks for the info. My wife and i are visiting the US in 20 days. I have a Samsung Galaxy Mini (european version), and she has a Blackberry Gemini. What plan should we pay for if we want to use one sim card for the both phones, and we want to use our smartphones as GPS, and maybe have 2gb? Among US operators with prepaid only T-Mobile and (Simple Mobile which runs on the T-Mobile network) offer BlackBerry Internet Service (BIS). Without BIS only voice and texting will work on the BlackBerry. No BBM, email, Web or Maps. BIS is a $10 add on to T-Mobile prepaid monthly plans priced at $50 and higher. SIMple Mobile is $10 cheaper ($40 + $10 for BIS) but SIMple dealers can be hard to find. If you can live without BIS PAYGO or Daily plans from either AT&T or T-Mobile could be a less expensive option particular if your visit is a short one. The Galaxy Mini doesn't support any US 3G bands and the BB Gemini 8520 isn't a 3G phone so you will be limited to EDGE data speeds of both phones regardless of which US operator you choose. My friends are planning a backpacking trip to the states, we are using samsung galaxy s2, iphone 4s, etc phones. We plan to use google maps for navigation, light data usage etc. we plan to use data over cellphone calls/text for communications as much as possible. just want to clarify this will fit my needs and are there anything else that I have overlooked? Your advice will be appreciated. A couple of things to consider. 1. You will not get 3G on T-Mobile with either the iPhone 4S or the any Galaxy S II except the T-Mobie branded one that T-Mobile USA sells. Neither phone supports T-Mobile's rather uncommon AWS 3G band so you will be stuck with 2.5G EDGE data speeds. 2. The $30 5GB plan is a Web only promotion. That means you need to order a SIM activation kit online and have it shipped to a US address. Then you have to activate it online. T-Mobile stores won't sell you an unactivated SIM and activation code and they can't activate SIMs on the 5 GB, $30 plan. An alternative is to buy a cheap T-Mobile prepaid phone at drugstore or big box store and activate the included the SIM and activation card online. Hi Yeswap, thanks for the reply. Does that mean for point 2, I can go for the cheapest prepaid phone from T-mobile? and what about AT&T plans? and are there iPad plans available from any carrierS? You can use the SIM and activation code from any T-Mobile prepaid phone. You will need to cut the SIM to use it in the iPhone 4S. AT&T offers prepaid iPad plans: 14.95/month for 250 MB, $30/month for 3 GB and $50/month for 5 GB. The SIM must be activated in an iPad or an AT&T branded Android tablet to get these prices. The iPad plans are data only, their is no voice or SMS support. Hi Yeswap, sorry for the brief question about AT&T. Here is the more specific and detailed question: Do I need to purchase a cheap mobile phone from AT&T in order to get the sim card and activation? Because from what I saw on your list above, it says "featured smart phones only" So I am guessing it is the same policy as T-mobile. Just wanna ascertain that. You do not need to buy an AT&T prepaid phone to get a SIM. You can get the SIM at any AT&T store, usually for free if you buy a top up at the same time. The AT&T $50/month unlimited plan includes unlimited data for feature phones only. AT&T detects most smartphone by their IMEIs and requires you to add a data package (5 MB - $5, 200 MB - $15, 500MB - $25) to use data with detected smartphones. Some non-AT&T smartphones aren't detected but iPhones always are. Activating with a feature phone and switching the SIM to a smartphone won't work, the IMEI seems to be checked whenever a data connection is initiated. The same data packages work on PAYGO which is generally less expensive than unlimited unless you are a heavy voice and SMS user. Alright, just to clarify, we will not be able to use the AT&T $50 unlimited because it is for featured phones only. If we go by your recommended 10cents/min plan with a data package, we will be able to get 3G speeds and we won't need a featured AT&T phone in order to use this 10cents/min plan. We can use it with any unlocked android phones. only setback is it gets quite complicated with unlocked iPhones? You can use the $50 plan with any phone. With feature phones the plan includes unlimited voice, messaging and data. With smartphones it includes unlimited voice and messaging, but no data. You can add smartphone data to this plan by purchasing a data ad-on (5 MB - $5, 200 MB - $15, 500MB - $25). we are all using unlocked smartphones. ok, that means 50 dollars + data package which may amount more. on the website it says, "Smartphone users must purchase a data package to use data services with any plan.Pay-per-use is not available with smartphones." so that means for the $2/day and the 10cents/min plan, smartphone users can't use the voice/text services? I don't know where you are seeing that. I see "Pay-per-use data is not available on smartphones. Smartphones can be used on the daily plan and 10¢/minute plan and optionally data packages can be added to those plans. Hi, first of all, congratulations for this great review, itś very usefull. I'ḿ planning on doing the route66 this summer (20 days) and for what I've read my best option its the AT&T daily unlimited plan with the 500Mb data plan, since I'm only using data and a few calls.what do you think? I have an european unlocked Galaxy S (i9000),Will I have 3g?. I've seen on ebay unnused AT&T simcards and I was thinking of buying it there so I could activate it when I arrived. Thanks for all, and sorry for my english. The Galaxy S i9000 supports 3G on 1900 Mhz, which is one of AT&Ts two 3G bands (the other is 850 Mhz). You would get 3G in many areas (mostly cities) but not everywhere. AT&T With a data bundle on top of either the $2/day plan or the 10¢ minute PAYGO plan sounds like you best choice. T-Mobile would not give you any 3G and has no data coverage of any kind along much of Route 66. Any unused AT&T SIM can be activated on AT&T prepaid so buying on on eBay should work. Thank you very much for the quick and great respose. Thanks for all your great articles. I will be visiting the US for 2 weeks in September and I will need a prepaid phone service with around 250MB of data and reasonable rates for the occasional call home to Australia. Before I get to the US, I will buy a non-activated AT&T SIM off eBay for around $4.50 (including shipping to Australia) - for use in my unlocked 3G Android Smartphone. 1. Is there any problem with me activating the SIM and purchasing the two add-ons here in Australia, one day before I leave i.e. does the activation process require me to be in the US and have an AT&T signal? 2. Does this plan charge for incoming international calls (from Australia)? The AT&T website does not answer this question. 3. When I use the International Long Distance Package – do I also get charged the normal $0.10/min fee? The AT&T website does not specifically address this issue. 4. Can non-residents sign up for a 10c/min plan? As this is effectively a post-paid scenario – I thought perhaps non US residents cannot have this type of plan? 5. I have another AT&T SIM from a previous trip which has been cancelled by AT&T due to a period of non-use. Can I reactivate this SIM (thereby avoiding buying another)? You've done you research well. AT&T prepaid with the add ons you mentioned should work well. Answers to your questions are below. 1. I've heard mixed reports from people trying to activate an AT&T prepaid SIM online from outside the US. Some say it works, others say it failed with various unhelpful error messages. Even if you get it activated you won't be able to add funds or purchase the add ons. 611 won't work as their is no international roaming and you need to get a PIN code by SMS to confirm setting up an online account. 2. 10¢/minute is charged for all incoming calls including international ones. 3. There is no 10¢ charge when making an international call with the international add on provided you are calling a covered number Only landlines in Australia are covered, calling a mobile will cost $1.09/min. 4. The 10¢/minute plan is available to anyone, visitors included. It is not a post paid plan. You must have prepaid funds in your account to make calls. 5. Expired SIMs can't be reactivated. Thanks for your very fast reply. It sounds like I will have to activate the SIM when I get to the US. Can you tell me whether there is free Wi-Fi in LAX? As stated I will have my Android Smartphone (plus a laptop) but no personal Internet connection to get online and activate my AT&T SIM. A. Do I elect how much to put in my account during the activation process or do I have to pay for a default amount set by AT&T? B. Do I choose from set amounts eg. $5, $10, $20 etc? Can you tell me what the set amounts are or can I load any amount I like? C. If I use up all of my credit, can I top-up later? During top-up do I choose from set amounts eg. $5, $10, $20 etc? Can you tell me what the set amounts are or can I top-up any amount I like? WiFi at LAX is paid, not free: LAX Airport Information - Internet Services - WiFi. A, B: You can add funds at the time of activation in the amounts of $15, $25, $50, $75 or $100. C: You can top up anytime with the same amounts. Take a look at: Prepaid Operator Profile: AT&T GoPhone which is my detailed explanation of AT&T prepaid services, pricing and procedures. I have read through all the information on the link which you sent – thanks! 1. Would I get charged $2 on a day that I received a text message from overseas but there was no other activity on my account? 2. Using the International Long Distance Package add on – do I still get charged 10¢/min when I receive an international LANDLINE call or is this charge waived due to my having unlimited nationwide calls? A. Using the 10¢/min Plan – is there any discounted rate when calling another AT&T GoPhone prepaid user? B. Using the International Long Distance Package add on – do I still get charged 10¢/min when I receive an international LANDLINE call? Could you please advise whether there is any problem with my plan above. Also, will I have any trouble paying over the phone with an Australian MasterCard i.e. it does not have a US billing address. Last time I bought a data package from the AT&T website, I had to enter my LA hotel address, as my billing address. The website would not process the transaction, with my Australian billing address. 1. Would I get charged $2 on a day that I received a text message from overseas but there was no other activity on my account?" "2. Using the International Long Distance Package add on – do I still get charged 10¢/min when I receive an international LANDLINE call or is this charge waived due to my having unlimited nationwide calls?" A. Using the 10¢/min Plan – is there any discounted rate when calling another AT&T GoPhone prepaid user?" "B. Using the International Long Distance Package add on – do I still get charged 10¢/min when I receive an international LANDLINE call? :"
- Yes, 10¢/min for all incoming calls. The international add-on only applies to outgoing calls. Could you please advise whether there is any problem with my plan above. Also, will I have any trouble paying over the phone with an Australian MasterCard i.e. it does not have a US billing address. Last time I bought a data package from the AT&T website, I had to enter my LA hotel address, as my billing address. The website would not process the transaction, with my Australian billing address." - That all sounds correct although I can't say with any certainly that your Australian credit card will be accepted by 611. Non-US credit cards are generally accepted at retail point of sale locations but not always over the phone or online. If the credit card doesn't work with 611, GoPhone PINs are widely available at convenience stores, supermarkets, chain drugstores, and AT&T and independent mobile phone shops. My US trip will be broken by a trip to Israel in the middle. i.e. I will be in the US for 10-14 days, then Israel for 10 days, then back in the US for another 2-3 days. I will remove my AT&T SIM while I'm in Israel. Regarding the $2 Daily Unlimited Plan - if someone texts/calls me while I'm in Israel - will I get hit with the $2 charge for that day? Do I need to turn voice mail off to avoid this? Calls that go to voicemail do not trigger the daily fee unless you call in to listen to the message using the the mobile phone. The AT&T SIM won't register on any network while you are in Israel. It's not necessary to remove the SIM while outside the US. Is it a problem if someone texts me while I'm in Israel? You won't get the text until you return to US coverage, if ever. So I wouldn't get charged the $2 charge? Of course not. Incoming texts never trigger the daily charge. Using the International Long Distance Package add on – would I get charged $2 on a day that I made a LANDLINE call to Australia but there was no other activity on my account? I'm asking this as even the 10¢/min Plan does not charge for this kind of call. If you have the international add-on, making a call to an Australian land line will not trigger the $2 daily charge. Did you hear about AT&T's message to customers yesterday that data packages will no longer be available on the 10¢/min and $2/day plans starting April 18th? I hope you are arriving before then. Thanks for tipping me off regarding the changes starting 18 April - that throws a spanner in the works, as I won't be in the US until August. 1. Is there any charge for receiving an international text? 2. Is there any charge for an incoming international call? 1. There's no charge for receiving any text, domestic or international. 2. Receiving international calls is billed the same as domestic. No extra charge for the first 250 minutes, 10¢/minute thereafter. Trip to california in may, from LA to SF and some parks. We will stay 10 days, we got Iphones and IPad (from italy) and need first DATA plans. At least two data plans, because we are 2 couples. We also would need some BASIC voice plan, just to contact each other and also our friend that is located in SF. For the iPad, I recommend the AT&T $30 for 3 GB and $50 for 5 GB iPad plan. Data for the iPhones will be expensive, $25/month for 250 minutes of voice plus $25 for 500 MB of data. You may want to rely on the iPad for data and use the phones for voice only on AT&T 10¢/min pay as you go. Thanks so much for quich reply! so we need on SIM (prepaid) for voice and one SIM (prepaid too) for data to plug into iPad. Can i tether to iPhone for data??? It will be fantastic! And most imposrtant question, any chance to Get online the SIM shipped o italy before may? You could tether your iPad to your phone but because data is 5 times more expensive on the phone SIM, it wouldn't make much sense. AT&T doesn't sell SIMs online but Amazon does. I don't know if they will ship to Italy. If not there are Ebay sellers who have SIMs and ship worldwide. You can use any unactivated AT&T SIM. Avoid the ones labeled for "GoPhone" as they become locted to the phone they are first used in. It would probably be easier and cheaper to get the SIMs at an AT&T shop after you arrive in the US. Use the store locator link in the post to find one near your hotel. Simply fantastic!!! Thanks you so much. We have 2 old unlocked GSM phones that my hubby and I want to use in New York & DC next month, to coordinate meeting up etc. Both phones work on GSM frequencies 850, 900, 1800, 1900. Would it make sense to order 2 of these T-Mobile SIM Card Activation Kits for $0.99 (reduced from $6.99)? Are these SIM cards that could work in our unlocked phone or are there some technical restrictions? I assume if these SIM cards are appropriate for our use, and we order them and they are waiting for us when we get there (we're meeting our friends on arrival)... Then I will then need to get 2 prepaid plans from T-Mobile. For him $2 per day and for me $1 per day. Am I on the right track? Thanks a lot. T-Mobile should work well for you purposes and thoese SIM Activation Kits will work. You might want to use an International calling card for those calls to India though. The $1 and $2 day plans don't include international calls, which are charged at $1.60/minute. You can't. BlackBerry BIS, which BBM requires, is not available with AT&T prepaid. Your site remains a fantastic resource. Just a quick question: on the T-Mobile Monthly4G $30 'Walmart' plan which sound actually like a great deal): do you have any tips on how can one make sure that the plan actually gets cancelled after one month (we will be in the States for one month)? Thanks! You don't have to worry about that. The plan won't renew unless you set up auto refill. Setting up auto refill is a separate multi-step process and is impossible to do by accident. Do I read the T-Mobile website correctly and would we have to buy a T-Mobile 4g smart-phone in order to get this plan? In other words, would I wouldn't be able to purchase this for my European (SIM-unlocked) HTC One-S or not? Thanks! The $30 Unlimited Web, 100 minutes plan is also available by purchasing a T-Mobile SIM Card Activation Kit from prepaid-phones.t-mobile.com/prepaid-phone/T-Mobile-Prepaid-SIM-Activation-Kit and activating it online at www.t-mobile.com/PrepaidActivation. See prepaid-phones.t-mobile.com/prepaid-plans: where it says "New activations only. Available exclusively in-store at Walmart, on Walmart.com, and T-Mobile.com." Just wanted to let you know that everything worked according to plan: got two T-Mobile SIM-card activation kits, put them in our European (unlocked) gsms, activated them online, added the $30 Unlimited Web and bingo! Plus automatic cancellation after a month, so no surprises at the end. Everything worked like a charm - thanks a lot Yeswap. I'm glad to hear it worked well for you. Thanks for letting me know. Thanks! I just order two of those kits. Fingers crossed. Wrt the online activation - I see they also ask for the IMEI - will they not see then that that phone is NOT a t-mobile phone? Or don't they check? Or is there maybe another way around this? It's going to be expensive for just 3 days. BBM and the BlackBerry browser require BIS. Among US GSM operators, only T-Mobile and Simple Mobile offer BIS on prepaid plans and both require a prepaid monthly plan. Details about both are in the post. Visiting the USA from Australia in Jan/Feb 2013. I will be bringing my Motorola Defy + Android along. Can i pre purchase a sim card now and activate it before i leave? It's possible but difficult. You would need to find a reputable seller willing to ship the SIM internationally. AT&T, Simple Mobile, Amazon, T-Mobile and Straight Talk/Net 10 won't ship SIMs outside the US so eBay is probably the only way. Assuming you had the SIM you should be able to activate it online. Funding the plan with a non-US credit card will be tricky though. Personally I wouldn't do it. Buying SIMs on eBay has a significant risk factor and shipping will add to the cost. Use the AT&T dealer locator link in the post above to find an AT&T store near your first hotel. Chances are there's one with in waking distance. You will want to use AT&T rather than T-Mobile or Simple Mobile as the Australian market Defy will only get 3G data on AT&T. it seems that you know what you are talking about. 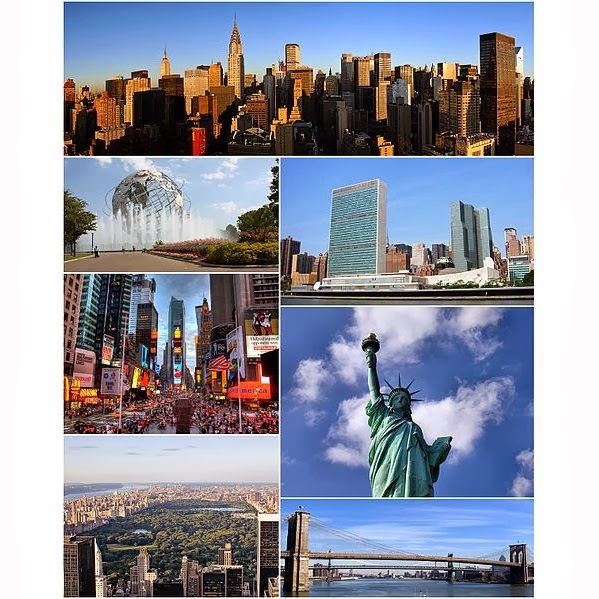 I'm European and I plan to visit 3 weeks NYC next month. I'm looking for a plan with "unlimited" data (at least 1 or 2Gb) to use with my European SGS II. I don't need voice or text (mostly if it supposes an a additional cost), I only want data. What is the best plan that suits me? In order to get 3G data with a European SGS II you need to use the AT&T network. Your best bet is probably to visit an AT&T store and pick up a SIM, activate it on the $25/month plan and then add a $25 1GB data package. That would give you 1 GB and a month's service for $50. If you run out of data you can add another data package. I know you said you didn't need voice or messaging but AT&T's data only mobile broadband plan is also $50/month for 1GB so there's no savings. The phone plan gives you the same 1 GB plus 250 minutes of domestic voice and unlimited domestic and international texts at no extra cost. Yeswap, I'm sorry about asking this question, but I'm really confused about all the information above. I just need help with what I believe is so simple for you to answer me, but, of course, I can't do by my own: I'm traveling to Las Vegas and San Diego next month, for two weeks, and I need a prepaid data plan to access emails and social networks only. So which is the best option for me in terms of price and quality, if it's possible. I forgot to mention: I've got a GSM cell phone (Samsung Galaxy Y Duos Pro). I recommend AT&T using the $25 Monthly plan with a $25 1 GB data package. The SIM is free so the total cost would be $50. T-Mobile using the $2/day plan would be $10 cheaper ($30 refill + $10 SIM = $40) but you would only get 2G speeds. You phone needs to be unlocked to use either, of course. i just got the Lenovo A790.Frequency: GSM850/900/1800/1900MHZ WCDMA2100MHZ. placed a air voice sim in it. the signal is terrible, and the only network it shows is cingular and ATT 2 barely or nothing. It's not the phone, the wifi works great. I'm in good AT&T coverage area (zip code 13029). should i try another carrier? Are you having trouble with calls or data? With only WCDMA 2100 you won't get 3G so data will be slow. If you are having trouble with voice calls it's likely that you are either in a dead spot (there can be pockets of bad coverage anywhere) or the phone is bad. If you have or can borrow another AT&T based phone see if it works well in the same location. If it does try swapping SIMs to verify whether it's the phone or SIM that's bad. Do you ship SIMs internationally? How much is international shipping? I've been trying to research the best plan for our upcoming trip and found you are the most knowledgeable and easy to understand resource I've found. Thank you! We will be taking a 12-day road trip from Vancouver to Yellowstone National Park in September 2012 and I would like to have use of my unlocked Sony Experia X10 for emergency use and keeping in touch back home in Canada. I wouldn't expect to need more than 150-200 minutes for the duration of the trip - most of that would be to Canada. It would be handy to be able to use text, as well. Planning on using wifi to check emails when we stop for the night. Before reading your advise I have purchased an H2O sim card (low minimum & free calls to Canada) to use which seemed perfect. I've used them in years gone by without issues, but concerned now that we might be left high & dry in a remote area, as we will be on motorcycles and taking back roads. So, like others, my question is what would you advise for minimal use for 12 days of calls to Canada & maybe the odd text that would give us the best chance of cell coverage in eastern Washington, Idaho, Montana and Wyoming (Yellowstone) at a reasonable cost? Fortunately I have access to a US shipping address. Looking forward to your invaluable advice, and thank you in advance! For a GSM phone like the Xperia, H20 which uses AT&T, will give you coverage about as good as anything else that will work with that phone. I've seen claims that a Straight BYOD SIM will give you slightly more coverage than other AT&T based operators but ST's lack of detailed coverage maps makes that hard to confirm. If you want extra security for emergencies in the back country get an inexpensive CDMA Tracfone. There's generally more CDMA than GSM coverage in remote areas and Tracfone roams on virtually every CDMA carrier, so it will work just about anywhere there is any mobile phone service at all. There's no extra charge for calls to Canada on Tracfone although you do have to dial an 11 digit access number first. First of all, I have read your post and all the comments and answers. All of them are very helpful. Thank you for your attention to the people who needs to be informed clearly. I need to ask it to have refreshed information. I have an Iphone 4 (unlocked GSM) and I will be in Miami for 5 weeks. I know that if I chose T-Mobile I wont be able to use 3G, and If I chose AT&T I won't be able to use it in Iphone (because you said it is forbidden for Iphone). So what should I do? Is there any change on AT&T's policy about Iphone-Data-For-Prepaid-Users? Because I am not sure about how I can purchase AT&T but fake them that I am not an Iphone user and use data?! You can use an iPhone on AT&T, the post above tells you how to activate the SIM and get data working. So are these steps I'll follow? 1) I will go to AT&T Store and I will buy a micro simcard with 50$Unlimited Plan and 25$ 1G data package. 2) I will not say that I am using Iphone? 3) I will go home and put the card to phone and I will activate it online. 4) I'll follow the link you gave to take the APN settings. 5) I will be able to talk unlimited in U.S and have 1 Gb data with 3G speed for a month. Is there a mistake or something I missed? AT&T no longer seems to have a policy against iPhones on prepaid. So it's probably OK to tell the AT&T store clerks that you are using an iPhone and let them activate the SIM for you in the store. They will tell you that prepaid data doesn't work on iPhones but it actually does once you set the proper APN. Using a WiFi connnection go to the above URL with Safari on your iPhone and select "AT&T (wap.cingular)" from the dropdown. This will enable data. Hey, I think I found the message about APN settings. Is this up-to-date? APN type: default "...please confirm! Yes, those are the current GoPhone APN settings. I have a blackberry of t mobile given by a friend of mine and tried to unlock it in India but could not. Now I am bringing it with me to US. Is there any possibility of using it with t mobile if i purchase a sim card? please let me know. thank you. If it's a T-Mobile USA phone you can use it on any T-Mobile USA prepaid plan. Voice and texting will work with any plan. For BBM and email to work you need to use a $30 or higher monthly prepaid plan plus the $10/month BlackBerry add-on. which blackberry-capable bis carrier/plan would you recommend in terms of call quality/reception/reliability/web performance in the SF Bay area? Is boost any good? what about simple/tmobile? I use Boost and T-Mobile in San Francisco, mostly in the City but on the peninsula fairly often and occasionally in Marin and the East Bay. Both have good coverage everywhere I've used them except West Marin and the northern fringes of San Raphael. Maximum data speeds are better on T-Mobile (I've seen 10 Mbps), but Boost is completely usable (typicality about 300 Kbps down) for browsing and audio (not video) streaming. I'd recommend either and suggest you choose on the basis of lowest cost for your usage. I will be travelling to SF, LA and LV. I will be using BB 9790 and Samsung Galaxy Tab (both unlocked). I will get T-mobile plan of $50 + $10 (BIS). Will I be able to use the same sim card for BB in Samsung? Will I be able to use tethering in samsung so my BB will also be active on wifi? If I could do both with 1 SIM card it would be great. It's hard to be sure but you will probably be able to use your Tab with the T-Mobile phone SIM. T-Mobile blocks at least some their own non-phone devices from connecting to the web with SIM activated on phone plans. But as long as you Tab is not a T-Mobile USA branded one it's likely to work. I found this prepaid carrier last year, and i can't remember the name. Can you please help? Its a beta international mobile carrier running on tmobile in the us. they offer unlimited incoming and 1000 outgoing texts a month for free. They charge taxes and 7 cents a minute in the us. There was a one time membership fee for 20 bucks which included a sim. Sorry I can help you with that. 1000 free outgoing texts per month and unlimited incoming texts for a one time $20 fee sounds too good to be true. I'm sure I'remember that offer if I ever saw it. What's the best plan for an iPhone that I would like to use while in the theme parks for wait times and maps . There's no one best plan for everyone. It depends your level of use and, the number of days you will be in the US and whether cost matters or now. If you have an unlocked GSM iPhone you can use any of the AT&T, T-Mobile or Simple Mobile plans listed above. Hi , Im from singapore. I have a Samsung Galaxy S3 phone. I will be going to New Jersey for a week in January. I would like to know which plan fits me the best. My main concern is to have unlimited data plan access. Also, do I need to unlock my phone in order to use the US Sim card? use simple mobile. best option for u. For a week, T-Mobile's $3/day plan would be the most cost effective. Your phone needs to be unlocked to use a SIM from any operator other than the one it's locked too. Is the $3/day plan still limited to 200mb, at least at full speed? Yes, first 200 MB at full speed then throttled to 128 kbps. how can i get the tmobile sim? coz the last time when i was in NYC they could only sell me the sim for 30 bucks? It was probably a 3rd party T-Mobile dealer, not a company owned store. T-Mobile SIMs are supposed to be $10 or free if you activate on a prepaid monthly plan $30 or higher. Use the T-Mobile store locator to find a T-Mobile owned store near your hotel. great page you put together! I am living in the US for 4 weeks, got a US address, but european iphone 3GS and cc. I need little voice, no text and little data. Pay as you go would be great and I would love to use PTel Real PAYGO. They have 1cent calls to europe, cheap data and seem to fit my needs perfectly. What other plans do you suggest? No one has as good pay as you go data rates as PTel. Next best would AT&T MVNOs Airvoice, H20, Jolt and Red Pocket at 30-33¢/MB. I don't know if any of them take non-US cards though. If you have Paypal, PTel SIMs are available from many eBay sellers for 99¢ with free shipping. Callinmart.com sells PTel top up PINs at a discount and also takes Paypal. Or you may be able to use a prepaid debit card with PTel. thanks a lot, I will try ebay and callingmart! A very nice writeup...my wife and I will be travelling around USA for 3 weeks. Reading through your article and seems like T-mobile prepaid $30 unlimited data plan works best. Got a few questions. Please bear with me. I'm a bit confused on the new sim activation part. The plan is only for new activation? A) Do I get an activation code if I purchase a Walmart(Email Delivery) New T-Mobile Monthly4G $30 Unlimited Web & Text with 100 min of talk? B)If I get the sim pack from ebay(without activation code) before we get into USA, where can I get the activation code for the plan? C)At the T-mobile activation page, it requires 3 things...activation code, sim code and IMEI. Can use IMEI from my phone? D)Or can I just walk in to a T-mobile store and get the plan outright without all these hoops? B)If I get the sim pack from ebay(without activation code) before we get into USA, where can I get the activation code for the plan? - No as it says in the post you must buy a T-Mobile Prepaid SIM Card Activation Kit. They are available on eBay. D)Or can I just walk in to a T-mobile store and get the plan outright without all these hoops? - No, the $30 plan is online only. T-Mobile stores can't a activate a SIM onit and don't sell the Prepaid SIM Card Activation Kit. Sorry...forgot my S3 is not 4G ready but can it still be used for the T-mobile plan? or can you recommend another plan...prefer only data. thanks. T-Mobile's "4G" is just HSPA+. Their primary HSPA band is AWS (1700 Mhz, UTMS Band IV) which is only supported by the S3 model SGH-T999. However T-Mobile is in the process of deploying HSPA+ on PCS (1900 Mhz, UTMS band II) which is supported by all S3 GSM models. You can view a crowd sourced map of 1900 Mhz sightings at airportal.de. For wider HSPA+ availability and better overall coverage you would need to use AT&T or an AT&T MVNO but it's much more expensive, $50/month for 1 GB. See AT&T and AT&T MVNOs Compared for details. Hi, I have a question about the Monthly4G T-Mobile 30$ (5GB) plan. "If you have not redeemed sufficient refills to cover your Monthly4G plan, the features included with your plan will no longer be available. This will restrict you from using voice and text services. You can continue to use your remaining refills for downloads. (...) You have 60 days to apply enough funds to renew your monthly rate plan." Does it mean that you can pay the 30$ once in two months and actually use the data, but have other services blocked during the second month? No. Downloads usually refers to ringtones and wallpaper. Besides, the language is referring to what you can do with partial refills; e.g., you refilled $10 instead of $30. There is no rate that I can find for data used with an expired 4G monthly plan. So, how would you use a partial refill of $10 for data? At what rate would Tmobile subtract from your balance when you used, say, 1mb? You don't get any data with an expired monthly plan. I think that line in the plan terms means that if you still have some money in you account after the plan expires you can use it to buy T-Mobile's overpriced ringtones, wallpapers and games for non-smartphones. With an Android phone you cal always download games etc. using WiFi even if your cellular account is expired. Tmobile used to let you charge paid Android apps and Mobile TV to your phone balance, at least through their app store. Next month we will visit California and Hawaii for a total of 15 days. We will need around 500 international voice minutes, 50 international texts and some basic data (2G is OK). We have an unlocked iPhone 4. 1) What plan would you recommend? I was thinking about T-Mobile $50 monthly plan + $10 international add-on. 3) Is it possible to activate it online, in order to be able to make the first call few minutes after landing in the U.S.? 4) Is there any additional fee when we are in Hawaii because it's outside the Continental U.S.? 1) The T-Mobile $50 plan with the international add-on is a good choice. There are less expensive options (see Best Prepaid Mobile International Voice & Text Deals) but it's hard to find a seller who will ship the SIM internationally. 2) The eBay item is inexactly what you need for T-Mobile prepaid and an iPhone. 4) There are no extra fees when using T-Mobile prepaid in Hawaii. Will possibly be taking a cycling trek into NY state this summer. Not entirely sure, but will likely be in the US for a couple of weeks. As such, was hoping to obtain and use a pay as you go microSIM (for Note2) that would be primarily used for data - ie maps software, etc. Am also looking for the cheapest option. Any suggestions? Is there anything similar to what speakout offers here in Canada, ie where you can use autoproxy to bypass port locking? Cheapest option would be T-Mobile's $30 5 GB, 100 minutes, unlimited texts for 30 days. This is an online only offer meaning you need to get a SIM from anywhere except a T-Mobile store (eBay is probably the easiest if you want the SIM shipped to Canada) and activate it online at www.t-mobile.com/PrepaidActivation. Thanks for the input! I have a friend in the US who has been kind enough to receive ebay bike gear items (which he will bring up to Canada when he visits) that I have ordered, so I could do the same with the SIM. I think he is a T-Mobile customer. What would he have to do to obtain the SIM kit? I assume the 100 minutes and unlimited texts would apply to US only #'s, right? Won't really need this, but I guess this would be the only way to gain access to data? Once I obtain the SIM, would I be able to re-use it in the future? Let's say I return to the US in half a year - would I be able to pay $$ and re-activate the SIM (obviously, with a new tel #, and 0 credit from last time)? Have your friend order a micro-SIM and Prepaid Activation Kit from prepaid-phones.t-mobile.com for you. SIms are 99¢ and shipping is free. The 100 minutes and unlimited messaging is US only. Use Google Voice for free text messaging and calls to Canada using the 100 minutes or Talkatone for free calls to Canada using data. 60 days after the monthly plan expires your account will convert to pay as you go. Once that happens you will need a new SIM to reactivate the $30 5 GB plan as it's for "new customers only". 90 days after the account switches to pay as you the account will be closed and you will lose the phone number and the SIM will be permanently deactivated. If you do not need fast data, there is a slightly cheaper option. Activate the Tmob $2/day plan, and get unlimited calling, texting and unlimited 2G web x 14 days for $28. Your balance will be good for 90 days, then you have another 60 days to top up at least $10 before losing your number. i have a sony xperia go and an old nokia. Will be in usa for 2 weeks and need sim card to communicate with each other in new york and vegas. What do you suggest? For voice and text only, the most convenient and least expensive options would be AT&T or T-Mobile PAYGO. 1. Tmobile $2/day unlimited talk, text and 2G data SIM activation kit. $28x2. Includes free talk and text roaming on AT&T in areas where there are no Tmobile towers. 2. Lycamobile free SIM for PayGo: 2c/min; 4c/test, free to receive; 6c/mb for mobile data. Tmobile network only. Check coverage map. 3. Ptel unlimited talk, text and data for half price; $20 vs $40 special with SIM. $20x2. Tmobile network only. 4. AT&T SIM with $2/day unlimited talk and text. Turn off phone data ($2/mb). Planning a trip to Florida this summer from Montreal, and I want to have a Data plan for my iPhone 4S. I want 3G as much as possible, so T-Mobile is out of the question. AT&T just came out with their latest prices, and I just wanted to make sure of the steps required to activate the AT&T SIM. I think that the best option for me right now would be the $25 voice/text + $25 data plan. I remember having the $2/day + data plan 2 years ago, but I guess they don't offer it anymore. 1- If I get the SIM card from Ebay, is there anything special I should be on the lookout for (maybe expiration dates ?). 2- Can I activate my plan from my home in Canada on the web ? I just went through the first two pages of the activation process (with a SIM number from an ebay listing), and at one point they ask you the zip code, is this something that needs to be known when I purchase the SIM on ebay ? I also imagine that at one point I have to pay with a credit card, can I pay with my canadian VISA ? Is there anything else I should know about the activation process ? 3- I'm not sure if the new GoPhone service still bans iPhones ? Do I still have to use a different APN setting or will it work right off the bat ? Any unactivated AT&T SIM card can be activated on prepaid. I don't think you can fully activate online when in Canada. The zip code shouldn't be a problem as it just determines the phone number's area code and prefix. As long as you use a US zip code you be OK. It's been a while since I activated an AT&T SIM on prepaid. The last time I did activation and funding were separate steps. You could activate online with no money, just a SIM. The problem is that to complete online account registration you have to enter a code that AT&T sends in a text. I don't know if you can receive the text while roaming in Canada. Buying airtime directly from AT&T online requires a credit card with a US address. But you can buy airtime PINs from Callingmart, eBay, etc. with Paypal. So if you manage to get registered online, adding funds online should be possible. Depending where and how you are traveling it might be easier to buy a SIM and activate at an AT&T store after you arrive. I can have an Android or an Iphone when i go over to Florida next week. How much will you use your phone to make voice calls or send sms? Do you need fast data, or will slower EDGE 2.5G data work OK? Do you plan to buy the SIM in Florida? Provided you are buying the SIM in a store after you arrive in the US and just need 200 MB of data and 250 minutes or less of domestic voice, AT&T would be cheaper. T-Mobile's $30 plan + $10 SIM would match AT&T's $40 price but that plan is only available when activating online with a SIM activation kit which generally is only sold online. AT&T's $25 plan also includes unlimited international SMS, none of of T-Mobile's plans do.